This qualification reflects the role of individuals who perform a range of activities and functions within the fitness industry. These individuals have substantial depth of knowledge to plan, conduct and evaluate advanced exercise programs using principles of program design, and progressed anatomy and physiology knowledge to support delivery of functional, effective and safe exercise programs. They have specialist skills to independently implement current approaches supported by evidence, and establish strategies for the prevention of recurrence of injury with guidance from medical or allied health professionals where appropriate. The qualification does not provide the skills and knowledge for an individual to provide advice or exercise instruction to high risk clients, other than to refer the client to an appropriate medical or allied health professional. This qualification provides a pathway to work in a diversity of fitness industry businesses including fitness centres, gyms, aquatic facilities, community facilities and in open spaces, where risk management ( through risk assessment and hazard control processes ) does not already exist. Individuals who specialise in Fitness Service Coordination develop collaborative programs across various health and wellness sectors. They have knowledge of relevant local and national health networks, and the skills to build and maintain stakeholder relationships. Individuals who specialise in Management manage and support a team of fitness professionals. This involves mentoring staff on business skills and technical skills. These individuals have skills and knowledge in marketing and sales; business analysis; time and financial management; recruiting and retaining personal trainers. Entry to this qualification is open to individuals who hold a current first aid and CPR certificate: 1.Have achieved a Certificate IV in Fitness; and 2.Have at least 1 year post qualification fitness industry experience in the application of the skills and knowledge of the Certificate IV in Fitness.While the nature and duration of the individual's vocational experience may vary according to the fitness business activity undertaken, evidence of the programming and delivery of a diverse range of fitness services to clients is required. NOTE: Entry Requirements can be done prior to studying the bridging program $1500.00 For more information please call. Possible job titles include: - advanced personal trainer - fitness services coordinator - personal training manager. Students who successfully complete the units of this qualification will receive their Certificate IV. Students may also gain advanced standing in other Certificate IV and Diploma qualifications. The course is self paced, which allows students to be able to complete the course in their own time frame. This courses is a Self Paced Online Course, which means courses and enrolments commence daily. This course is a selfpaced course which means students take control of their study and can complete the course at their own pace. The theory is delivered using our online learning portal, combined with practical work experience which must be completed within industry via correspondence. Students are to arrange their own suitable location for practical components of course i.e Gym setting. Students are also required to use Google Chrome or Firefox as their browser to complete the online training components. Students will be assessed through online exams, case studies, written reports, practical video evidence, industry consultations and third party reports. This qualification is designed for existing fitness professionals, industry experience is also required. In order to receive your Diploma of Fitness, you must hold a current Advanced First Aid and CPR Certificate ( Not Included in this course ). This course students need to be working in a actual gym, Simulation is possible for this qualification in-line with the package rules. The practicals in this course will require face to face time and contact within a Fitness environment. You will be given a workbook and third party report practical sheet. This sheet would need to be signed off by a suitably qualified persons within the workplace. You may be required to have insurance in place prior to commencing any practical and most students already have this as part of their exsisiting PT training however in a intstance where this is not the case, have a company who offers Training Insurance at a very cheap rate they can be found here Volunteer Work Experience Insurance You are required to complete our course units online except the unit HLTAID006 Advanced First Aid and HLTAID001 CPR, and these will be needed to completed by a private RTO at the students own cost. 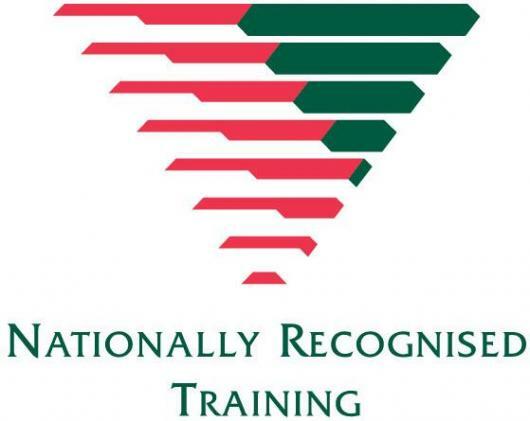 Qualifications are issued by RTO: 31486 Click here and are Nationally Recognised throughout Australia under the ( AQF ) Australian Qualification Framework. Course cost $3000.00, payments are made in line with our fee policy found in our Terms and Conditions Click here and Student Handbook Click here in relation to fees in advance. We ensure that fees paid in advance of course delivery are protected by having such funds entered into accounts as "Unearned Income," which may not be drawn upon until such time as delivery has commenced. We have a Set Fee Structure for all of its training courses which consists of a Maximum of $1000.00 Enrolment and a $500.00 commencement fee, allowing the final amount to be paid at completion. Please take the time to read through the student handbook which highlights all the aspects of the course terms and conditions including refunds and extensions. Terms and Conditions Click here and Student Handbook Click here in relation to fees in advance. Distance Colleges is a business developed to allow students access to multiple Registered Training Organisations in order to help reduce cost, time and pathways for students.